Aubrey Fine, Ed.D., is Professor of Education and Integrative Studies at California State Polytechnic University. He is a licensed psychologist with more than 35 years’ experience specializing in treating children with ADHD, learning disabilities, developmental disorders and parent/child relations. 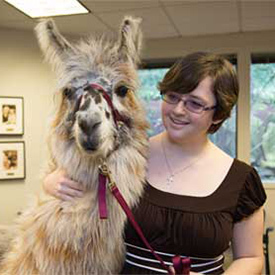 He is a leading expert in the field of Human-Animal Interactions. Dr. Fine has been recognized by various organizations for his work with children, animals and the community. These including the Wang Family Excellence Award for Distinguished Professor in California State University System (23 campuses), Educator of the Year- State for the CA Learning Disabilities Association, Who’s Who in America, and the 2006 Cal Poly Faculty Award for Community Engagement. He serves on numerous editorial review boards and has served as a peer reviewer for various child development and HAI-related (Human-Animal Interactions) journals. Dr. Fine has published 12 books and numerous academic articles on various topics in the fields of animal therapy, children, and Sports Psychology. His new book entitled The Parent Child Dance was released in June 2015. 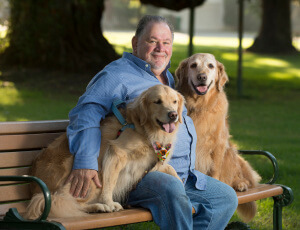 Perhaps his best-known works are The Handbook on Animal Assisted Therapy (now in its fourth edition, July 2015), and his previous monthly column, “The Loving Bond,” which appeared in Dog Fancy magazine. He has also written three other books on Human Animal Interactions (Afternoons With Puppy, Our Faithful Companions, and a children’s book called Give a Dog Your Heart). Dr. Fine has been a guest on national TV and radio (including ABC, CNN, Animal Planet, and Discovery Network). He is on the board of directors of Pet Partners and a member of the Steering Committee for Human Animal Interactions for the American Veterinary Association. To arrange an interview with Aubrey Fine please call (425) 679-5514 or email press@petpartners.org.